Over the past two years, our organization has grown immensely thanks to your kind support and assistance with our events and membership opportunities. Our tiny all-volunteer Board of Directors and committee members are working hard, but in the past few months, it has become apparent that we have more volunteer opportunities available. If you are someone with excellent communication and administrative skills who would like to spend some time learning about how our organization operates and you’d like to gain some valuable experience from a well recognized organization in Taiwan, we would love to hear from you! We are looking for a summer administrative intern to assist our Managing Director and our Membership Committee. 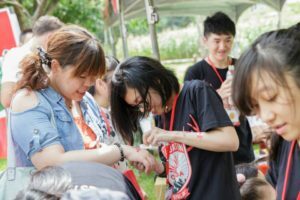 We are looking for someone who is passionate about Taiwan and Canada, and who has some time to give to our organization. **This individual would ideally be fluent in Chinese and English, and can commit to a minimum of 10 hours per week. During the month of June, volunteer hours will be higher as our entire organization moves into full swing in preparation for Celebration Canada on June 30, 2018. Responsible for sending out event notices via Mailchimp – This is a skill we can teach you. 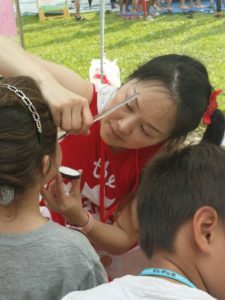 Update Canadian Chamber of Commerce in Taiwan website for events when needed – This is a skill we can teach you. If you have a basic understanding of WordPress, that is a bonus. If not, we will teach you how to use it. 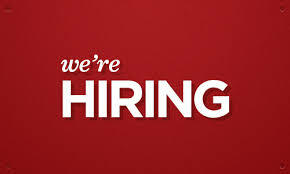 Assist with Celebration Canada preparation and coordination as our Managing Director’s assistant. Email correspondence: Assist our Managing Director in answering basic emails that are created from our canned response system. Help with trips to the post office and trips to the bank to check the Chamber bank book. Ensure timely update of the CCCT website and Facebook account. 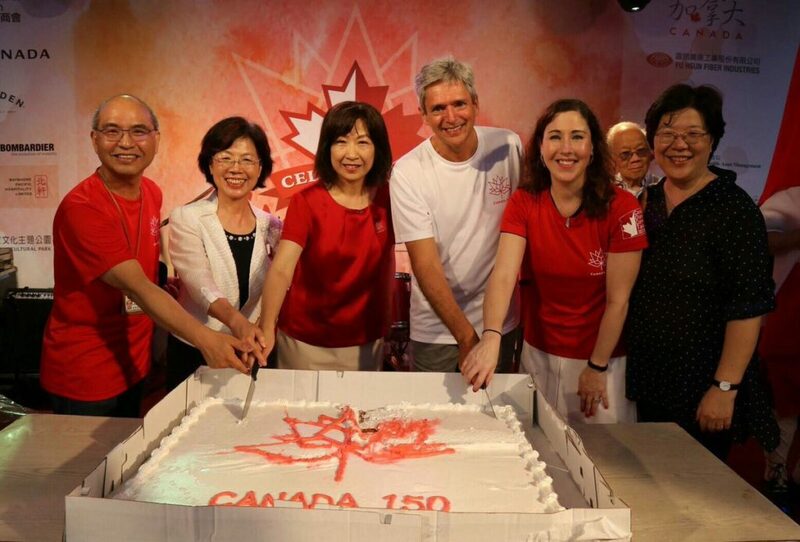 Keep the CCCT Facebook page up-to-date with tips about Taiwan or things happening between Taiwan and Canada. This is a terrific opportunity to get involved with a community organization while gaining some valuable skills while working along side other outstanding members of our volunteer organization. 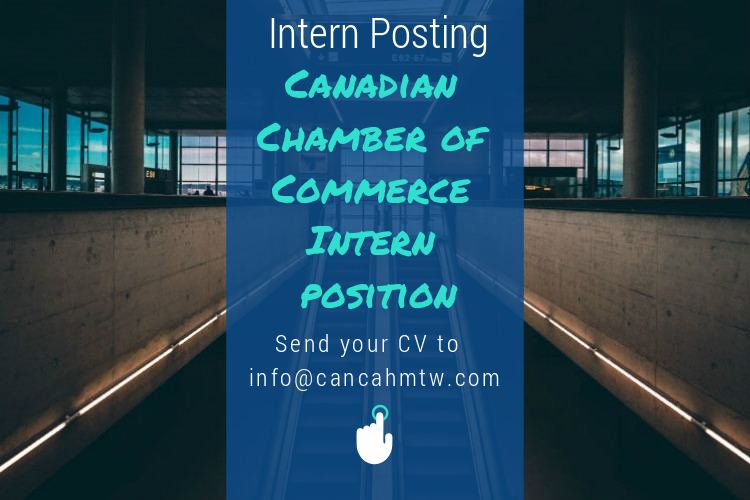 To apply, please send your CV and a cover letter indicating why you are interested in being an intern for the Canadian Chamber of Commerce in Taiwan to info@canchamtw.com. 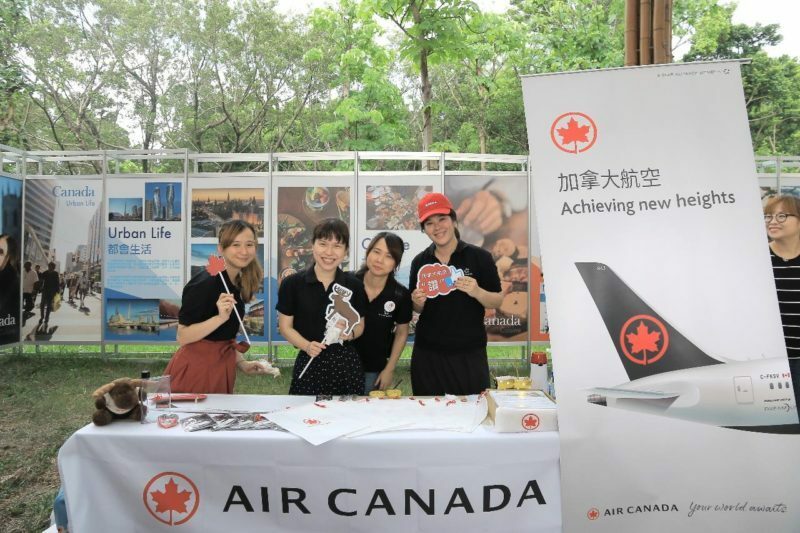 The Canadian Chamber of Commerce (CCCT) will hold its annual Celebration Canada event on Saturday, June 30th 2018 at Taipei Hakka Cultural Park. It’s our 151st birthday, and it’s going to be an exciting day! 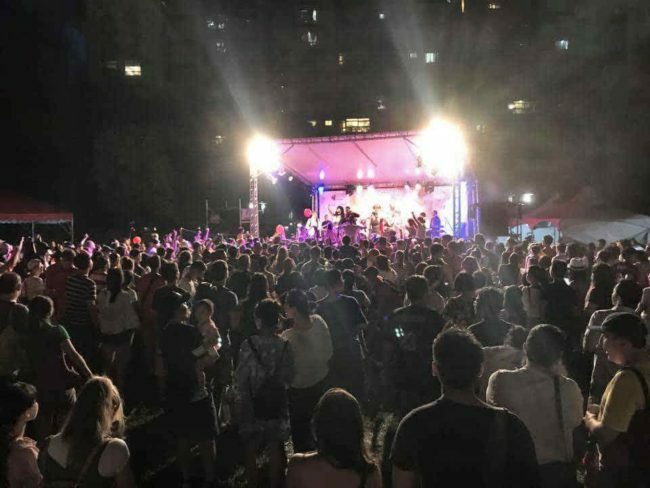 This is the largest expat celebration event in Taiwan. 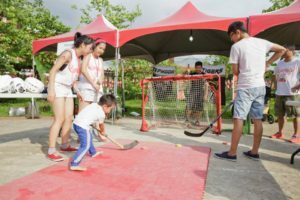 Celebration Canada is an FREE event that local people and expats can share together, have fun at, and enjoy new experiences. Our event includes examples of Canadian music, culture, games, food and drinks. We are looking for volunteers to help at the event and with set-up before the event begins. This is an amazing opportunity to meet new people and give back to the community. If you or any of your friends are interested in volunteering, please register using our Google Form below. Please indicate which you prefer or if you want to help all day. Our volunteer slots are going on a first-come, first-serve basis. 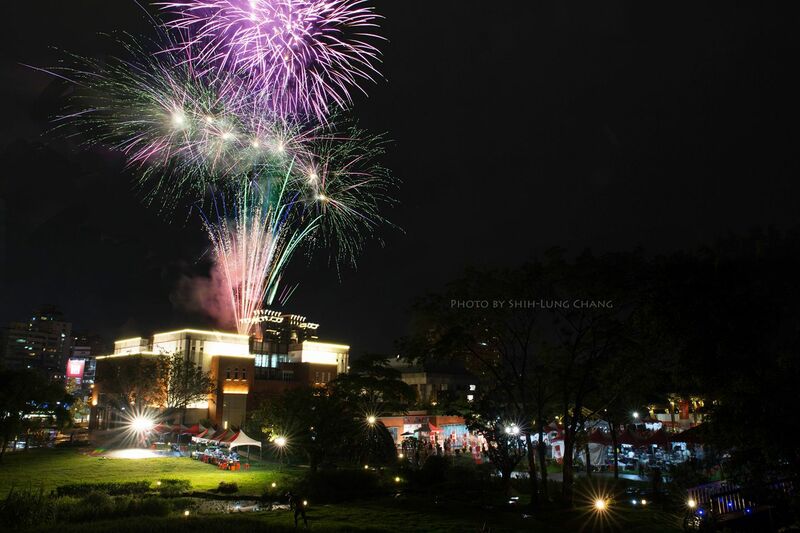 Help set-up Taipei Hakka Cultural Park on Friday for the big event on Saturday. 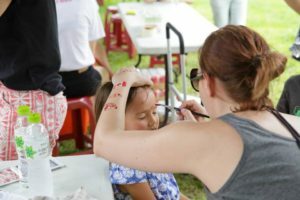 Celebration Canada volunteers at the tattoo sticker booth in the Family Zone. Close down Family Zone starting at 5:30. To be completed by 6pm. 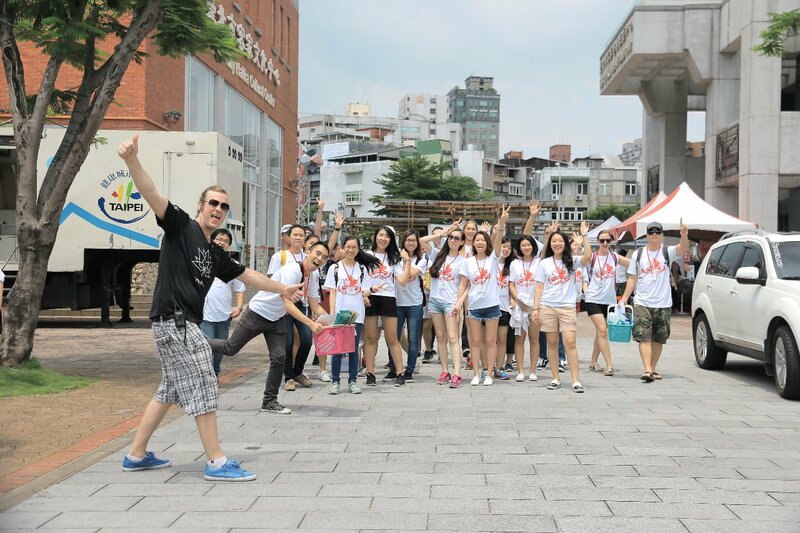 Help clean-up Taipei Hakka Cultural Park from the big party the day before. Free Celebration Canada T-shirt Celebration Canada volunteers at the hockey booth in the Family Zone. *If your school gives extra credit for volunteer work or community service we can help. Please see your school’s office for the form required and we will be happy to stamp it to get you that credit. **Shorter shifts are available, but DO NOT include the above-mentioned items unless you are volunteering for a minimum of 5 hours. 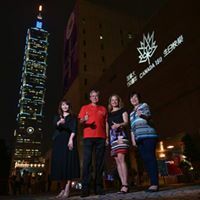 If you choose to volunteer for two days, you will receive a free non-voting membership with the Canadian Chamber of Commerce in Taiwan that gives you free access to some of our events or a discounted price to all our events. 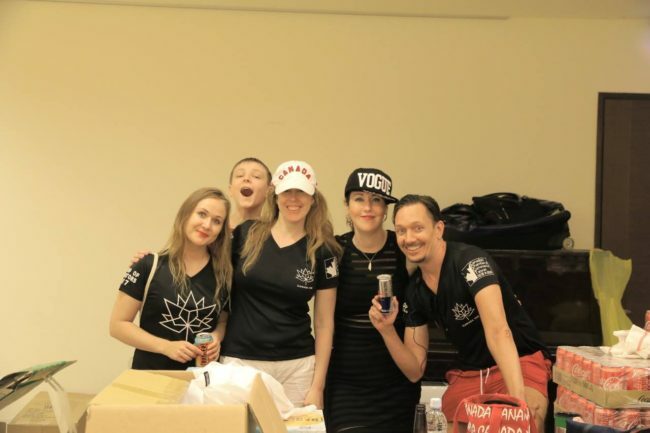 Thank you so much for helping out at the 2018 Celebration Canada. We couldn’t do it without you! 2017 was an incredible year for the Canadian Chamber of Commerce in Taiwan. We are proud of all the Canadian Chamaber has done to promote Canadian interests in Taiwan and to encourage cooperation with businesses working for and with Canadian companies, and for those interested in doing business in Canada. In 2017, the Canadian Chamber of Commerce had a very successful year. 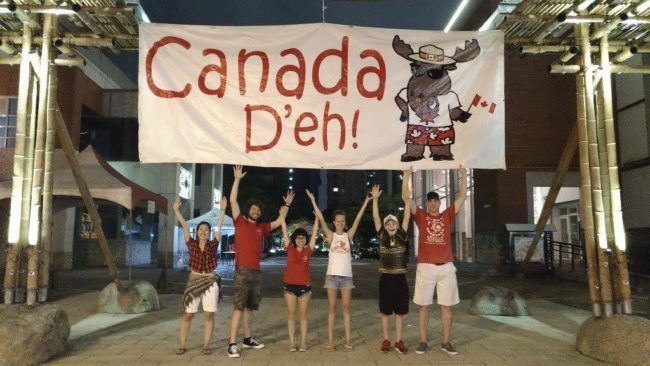 Canada Day 2017 was a great success, as was our 3rd Annual (and newly renamed!) Maple Ball, which was held in cooperation with the Canadian Trade Office. In the three years that we have hosted this Charity Gala event, we have raised over $40,000CAD for the MacKay Memorial Hospital. 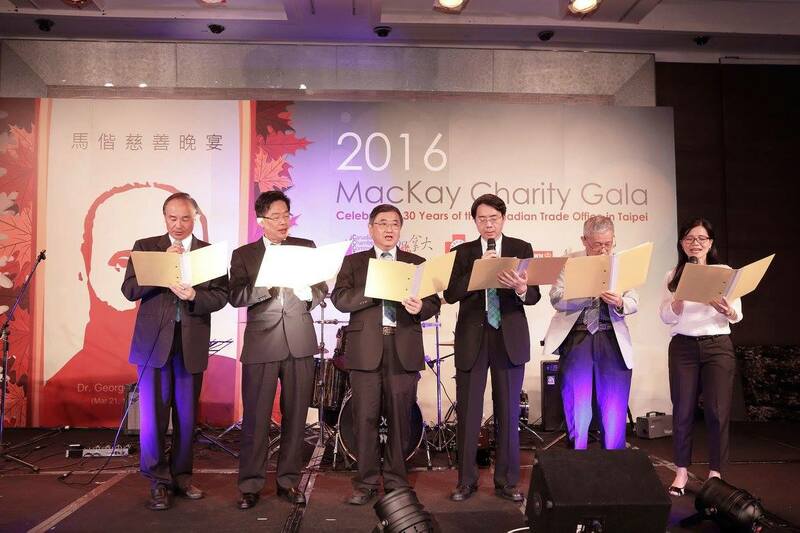 It is our honour to support MacKay Hospital care for the communities in Taiwan. 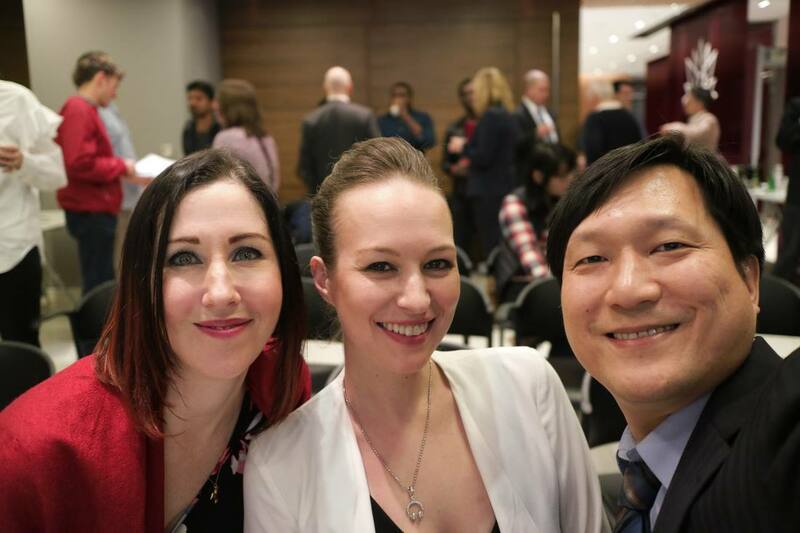 This year, the Canadian Chamber of Commerce continued to support the local and foreign entrepreneurs in Taiwan with the annual Dragons’ Chamber Taiwan, an event that is geared towards Taiwan’s vibrant and growing start-up scene. Dragons’ Chamber Taiwan 2017 helped to bridge the fundraising gap for entrepreneurs who needed to raise up to NT$5 Million to start their businesses. We’re pleased be the bridge between angel investors and from other individuals who were interested in these new and innovative ideas from our foreign community through our Dragons’ Chamber Taiwan event. We would like to thank Business Next magazine, Meet Start-Up Taipei, and Elias Ek for working with us on our mission, and our plans are proceeding for our 3rd Annual Dragons’ Chamber Taiwan. Meanwhile, we are continuing our hard work with the CCCT’s Small Business Network to connect small business owners and entrepreneurs with industry leaders in Taiwan, and we have some excellent events planned for 2018. Working the small business community is one of the Canadian Chamber’s goals in 2018. We are also making great strides with the CCCT’s dedicated Membership and Events Committees that are hard at work to bring you even better events in 2018. Our individual, small business and corporate members are the backbone of the Canadian Chamber and we will continue to meet their needs in the coming year. Our event planning team for Celebration Canada 2018 began meeting in November 2017 to ensure that we continue the tradition of the wonderful event that is considered a highlight for many in the international and local community. 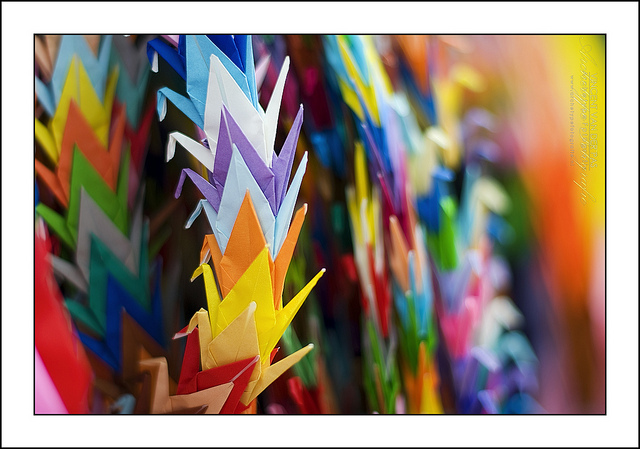 We have a number of new surprises in store for you at Taiwan’s largest outdoor foreign national day event in Taiwan. I would like to thank you, our valued sponsors and members. I’d also like to extend my sincere thanks and appreciation towards our all-volunteer Board of Directors, Board of Supervisors, and their hard-working committees. These individuals generously donate their time, money, and energy into making the CCCT the success it is today. Without these key players, the CCCT would not be what it is today. As the Chamber has grown and changed over the years, it has become even more important to work and plan together with common goals and a united leadership. We recognize and appreciate those who have shared this vision, created these goals, and led the efforts that our CCCT community currently enjoys. We have much more in store for you, so please keep an eye on the Canadian Chamber of Commerce in Taiwan‘s website or give the Canadian Chamber of Commerce in Taiwan’s Facebook page a ‘like‘ to show your support for Canada and Taiwan. Follow our Events calendar for upcoming events. We promise, we have much more in store for you in 2018. It is my pleasure and privilege to serve as Chairman of the Canadian Chamber of Commerce in Taiwan and its governing body for 2018. It is my great honour to be walking in the footsteps of those who have made the Canadian Chamber of Commerce in Taiwan into what it is today. Please help us to make 2018 an even greater success. On November 18th, 2017, the CCCT’s small business committee hosted the second annual Dragons’ Chamber Taiwan event in partnership with Meet Taipei and Business Next Magazine. 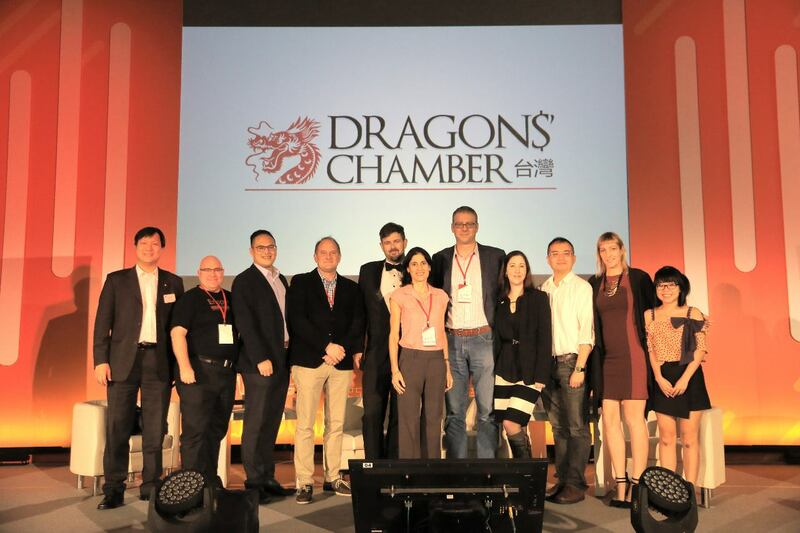 Read more about Business Next’s write-up on Dragons Chamber Taiwan. 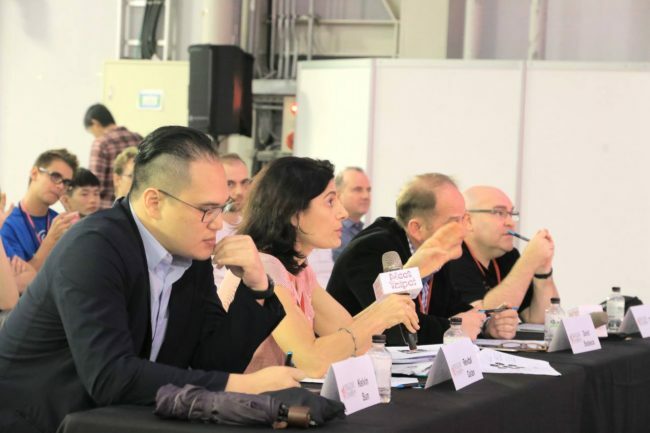 Dragons’ Chamber Taiwan is a competition where local businesses pitch ideas, strategies, and their own business models to a panel of expert judges. 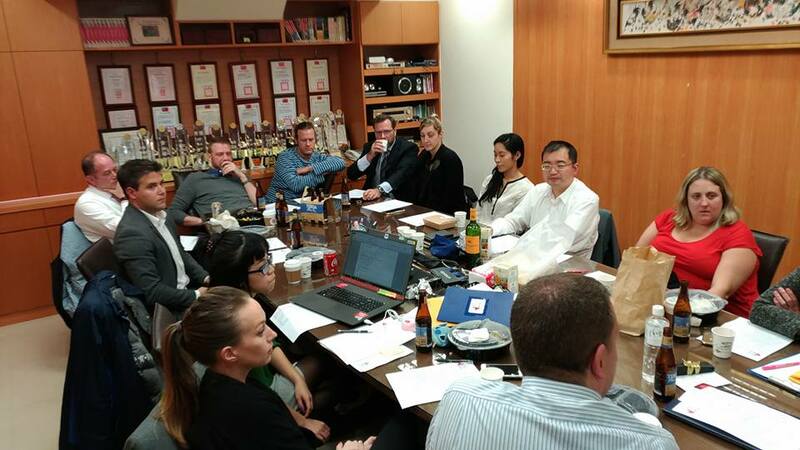 By participating in this event, local entrepreneurs are able to make connections with other business executives while also receiving valuable insights from experts in operating businesses in Taiwan. 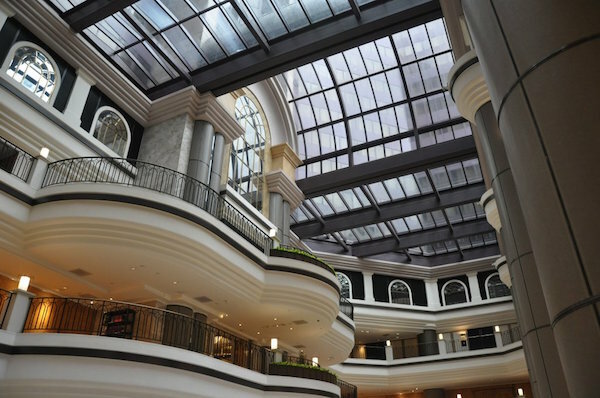 Dragons’ Chamber Taiwan is open to a wide range of small businesses including, restaurants, start-ups, consulting companies, education, professional services, design, import/export, manufacturing, or any other organization — as long as they have a legitimate business model. This event is especially useful to the foreign community here in Taiwan, as starting a business abroad sometimes poses many challenges. Dragons’ Chamber Taiwan essentially provides a forum for business executives to attract attention to their business, while also gaining new insights and perspectives about how to advance their strategies and business models. This year’s Dragons (the judges) came from a variety of business backgrounds providing valuable commentary and thought-proving questions to this year’s contestants. 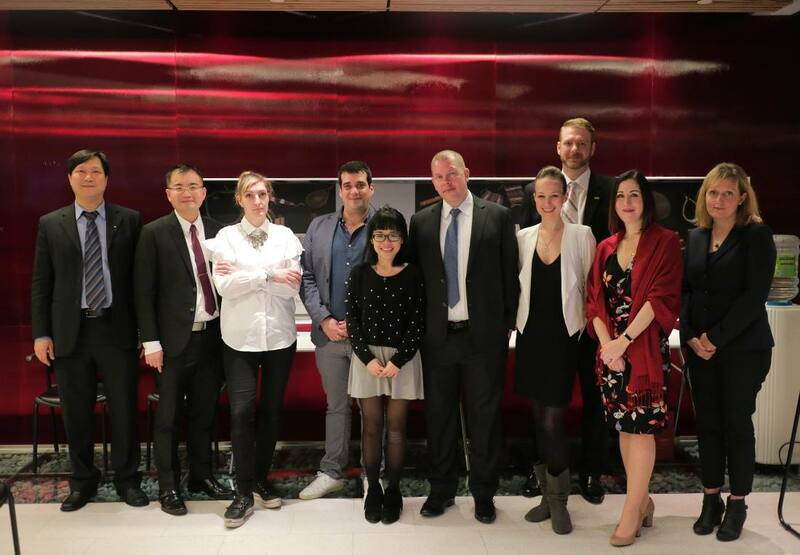 The Dragons were: Kelvin Sun – Vice President of WI Harper Group; Revital Golan- founder and CEO of Anemone Ventures; David Bostwick – Director of Trade and Investment at CTOT, and Elias EK- co-founder and CEO of Enspyre. MemePr is an artificial intelligence marketing platform connecting enterprises with top global marketers. By using a computer robot, they are able to quickly and efficiently connect businesses to marketing influencers. With partnerships in the United States, China, Taiwan, Japan, China, Korea, Malaysia, Singapore, Pakistan, and more, MemePr strives to save their members time by connecting business to these major global marketing networks. Eatsmart is a company whose mission is to help busy people eat healthy on the go. By providing wholesome lunch boxes, their clients can select various menus to fit their dietary needs and goals. Eat Smart’s chefs are trained in France and they offer a diversified menu specializing in European cuisine. Furthermore, the ingredients are locally sourced in Taiwan to ensure that the food is fresh upon delivery. 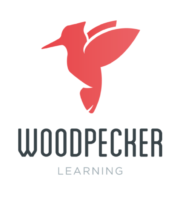 Woodpecker Learning provides a platform where the user can interact with online content to enhance language learning. This platform is designed for both teachers and students to make learning a language more engaging and practical. It is also geared towards advanced learners who want to have a better understanding of digital content that is originally geared towards native speakers. On this application users can learn English, Chinese, Japanese, Vietnamese, Spanish, French, German, and Portuguese with lessons in Russian to be offered in the near future. KP Kitchen Taiwan is the place to buy familiar Western cooking and baking DIY kits. In Taiwan many home cooks struggle adjusting to small and cramped kitchens and also finding familiar ingredients for the recipes they love. KP Kitchen has solved this problem by providing DIY sets for making recipes such as brownies, muffins, cakes, breads, and more! The best part is that all of these recipes are tested and adopted to be made in toaster ovens or other appliances that are common in Taiwan. KP kitchen also offers delicious spice mixes which are all produced locally with love. 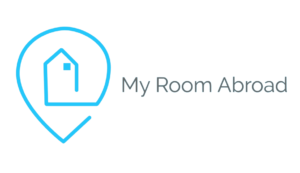 My Room Abroad is a platform that connects international student to certified landlords. Finding an apartment in a foreign country can be difficult for students, so My Room Abroad aims to alleviate this problem by providing a one-stop website where clients can search for their room and pay deposits and rental fees online. My Room Abroad originated in Taiwan, and they are looking to expand to other countries in Asia. All of the teams labored arduously on their presentations and they engaged in thoughtful discussion while answering some tough questions from the dragon judges. However, only one team could finish as the first place winner. This year the grand prize was awarded to Woodpecker Learning, with second prize to Eat Fresh, and third prize to My Room Abroad. The KP Kitchen and MemePr teams were also awarded prizes for their efforts. 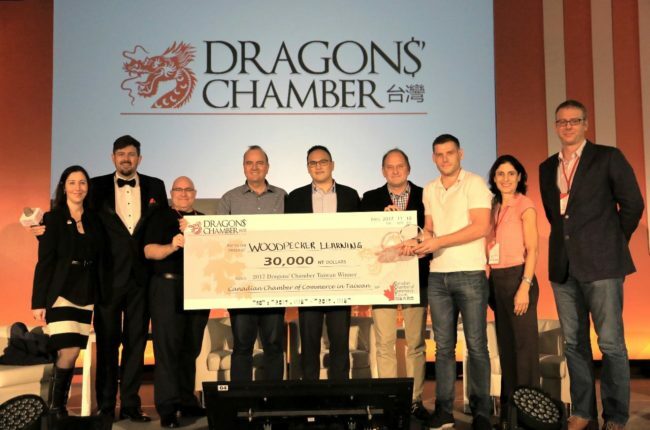 In an interview with Peter Sutton from Woodpecker Learning, he provided some valuable insights for those interested in participating in next year’s Dragons’ Chamber Taiwan. I came here just in the audience last year, and it was very interesting and I enjoyed it. So I would definitely recommend anyone who has a business to come. Even if they think they might not win, it is a great venue to promote your product, and it is a great way to get experience. Peter Sutton also provided a comment on how he felt to win first place at the 2017 Dragons’ Chamber Taiwan event. There were some interesting people in the audience today, both from the point of view from the education sector and also from the point of view of investing. So we would like to follow up with them for partnerships. And I think it is going to be good publicity to win this, and hopefully people will download or app. On behalf of the Canadian Chamber of Commerce Taiwan, we would like to give our thanks and appreciation to everyone who made this event such a success. First, a thanks to our Gold Sponsors: FutureWard, JusRegal, Anemone Ventures, and Musa Trademark who all donated prizes for the top contestants. Also we would like to thank our Silver sponsors for their contributions: DDG, Geber Brand Consulting, and Pachuco. 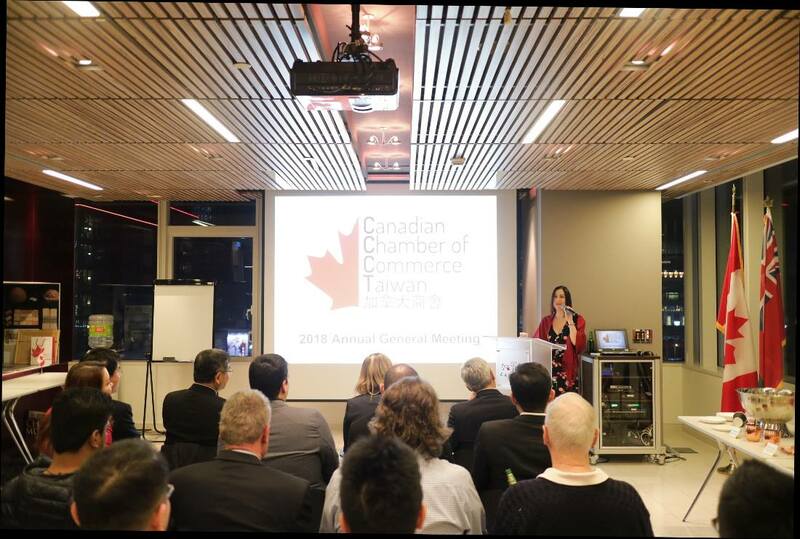 Finally, we would like to thank the Canadian Trade Office in Taipei for partnering with the CCCT to make the 2017 Dragons’ Chamber Taiwan a tremendous success. We hope to continue to see more small businesses come and compete in Dragons’ Chamber Taiwan in 2018! Bone marrow transplantation is an effective therapy for children suffering from diseases such as Leukemia, Lymphomas, Aplastic anemia, Sickle cell disease, metabolic diseases, and other cancers. Bone marrow is the soft, spongy tissue found inside of bones and it is responsible for the storage and development of the majority of the body’s blood cells. The goal of bone marrow transplants is to transfuse healthy bone marrow cells while also eliminating unhealthy bone marrow. Children suffering from cancers must undergo intense rounds or chemotherapy and radiation, and during these procedures bone marrow becomes damaged or destroyed. Therefore bone marrow transplantation is an effective treatment method because it replaces diseased, nonfunctioning bonne marrow with healthy, functioning marrow. It also helps to restore the bone marrow’s function after high doses of radiation therapy. 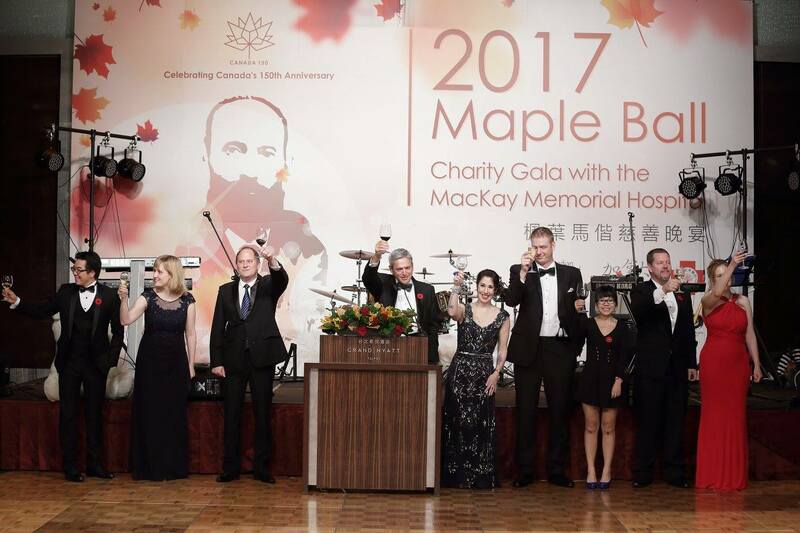 This year the Canadian Chamber of Commerce Taiwan is honored to be assisting MacKay Memorial Hospital in opening a new bone marrow transplantation ward in the Children’s Wing of the hospital by raising funds through its 3rd Annual Maple Ball Charity Gala on November 4, 2017. 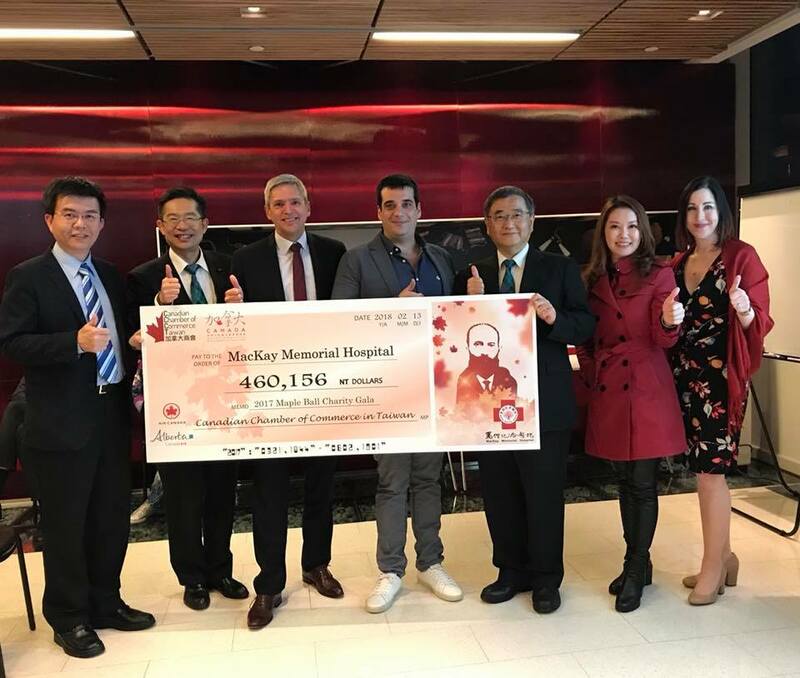 With the help of our sponsors and attendees, we are so pleased to be able to assist MacKay Memorial Hospital in funding for its new bone marrow transplantation ward for children who are suffering from life-threatening diseases. 2016 was an incredible year for the Canadian Chamber of Commerce in Taiwan. It was a busy and transformative year for us from May 2016 onwards, as we had a few key players leave our team this year to move on to other adventures. I am proud of what the CCCT accomplished in 2016. Canada Day 2016 was a great success, and our 2nd Annual MacKay Charity Gala for MacKay Memorial Hospital doubled in size. 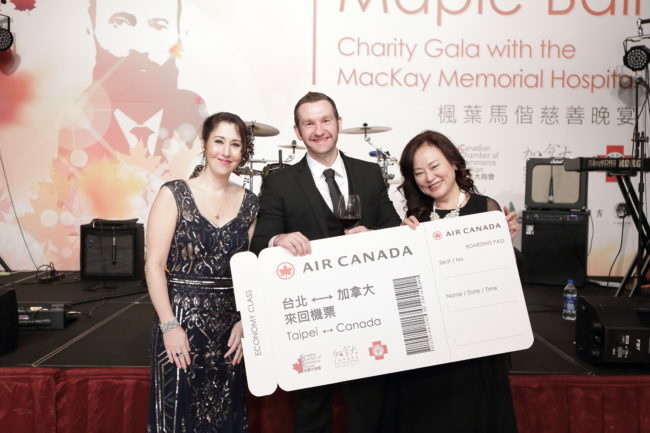 We raised over $10,000CDN for the hospital and we celebrated the Canadian Trade Office in Taipei‘s 30th Anniversary in Taiwan. 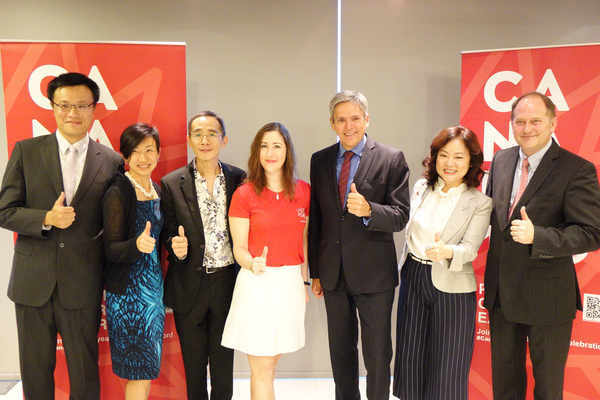 This year, the Canadian Chamber of Commerce stepped up its game in the small business and foreign entrepreneur communities in Taiwan by hosting its first ever Dragons’ Chamber Taiwan, an event that is geared towards Taiwan’s vibrant and growing start-up scene. Dragons’ Chamber Taiwan 2016 helped to bridge the fundraising gap for entrepreneurs who needed to raise up to NT$5 Million to start their businesses. 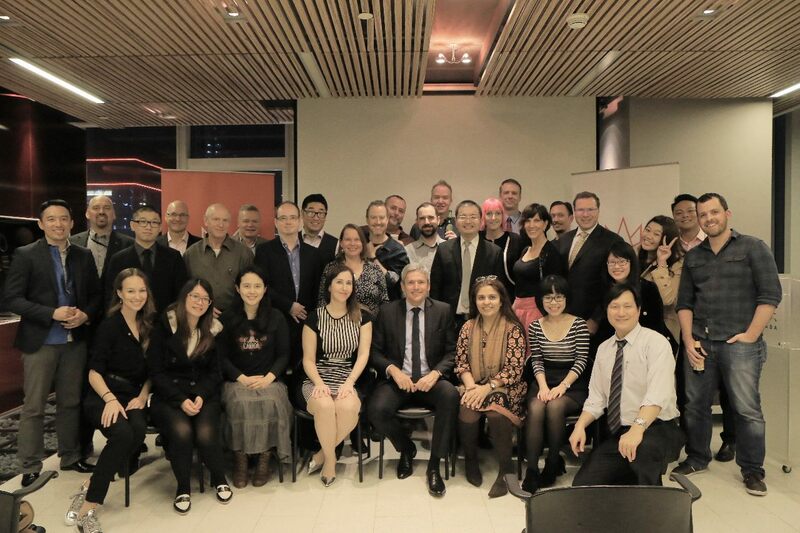 We’re pleased to announce that four out of the five teams we worked with this year received assistance from angel investors and from other individuals who were interested in these new and innovative ideas from our foreign community through our Dragons’ Chamber Taiwan event. We would like to thank Business Next magazine, Meet Start-Up Taipei, and Elias Ek for working with us on our mission, and our plans are proceeding for our 2nd Annual Dragons’ Chamber Taiwan. Meanwhile, we are continuing our hard work with the CCCT’s Small Business Network to connect small business owners and entrepreneurs with industry leaders in Taiwan, and we started 2017 with some excellent lunches hosted by our Business Luncheon Committee, including a well-attended luncheon with Mr. Pierre Loisel Sr., a proud Canadian and a legend in Taiwan. We are also making great strides with the CCCT’s dedicated Membership and Events Committees that are hard at work to bring you even better events in 2017. 2016 truly was a year to remember, but we know that 2017 is going to be even better! For example, in 2017, we have a once-in-a-lifetime opportunity to be celebrating Canada’s 150th Anniversary on Saturday, July 1st, 2017 at Taipei Hakka Culture Park. We hope to see you there! Our event planning team for Celebration Canada 2017 began meeting in November 2016 to ensure that this is our biggest and best Canada Day celebration ever. We have a number of new surprises in store for you at Taiwan’s largest outdoor foreign national day event in Taiwan. We recognize and appreciate those who have shared this vision, created these goals, and led the efforts that our CCCT community currently enjoys. We have much more in store for you, so please keep an eye on the Canadian Chamber of Commerce in Taiwan‘s website or give the Canadian Chamber of Commerce in Taiwan’s Facebook page a ‘like‘ to show your support for Canada and Taiwan. 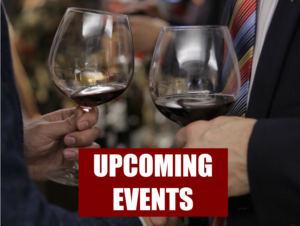 Follow our Events calendar for upcoming events. We promise, we have much more in store for you in 2017. It is my honour and pleasure to serve as Chairwoman of the Canadian Chamber of Commerce in Taiwan and its governing body for 2016 through to 2018. It is my great privilege to be walking in the footsteps of those who have made the Canadian Chamber of Commerce in Taiwan into what it is today. Please help us to make 2017 an even greater success. Taipei is such a spectacular city due to its variety of geographical features. Lush, green mountains surround every angle of the city, so escaping to nature is easily achieved by just hopping on the MRT. One of my favorite places for an afternoon escape is Maokong, a mountain famous for growing local oolong and green tea. Maokong is located in the Wenshan district of Taipei, City and it is accessible by taking the brown line to Taipei Zoo station. 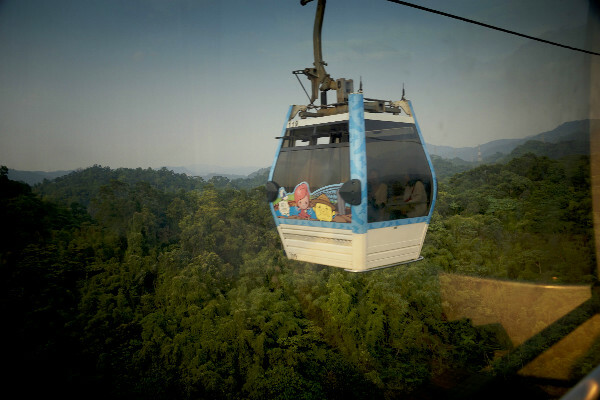 There is a gondola located adjacent to the MRT. The cable-car ride is about 20 minutes to the top, and it stops at the Taipei Zoo South Entrance, Zhinan Temple, and then finally Maokong. 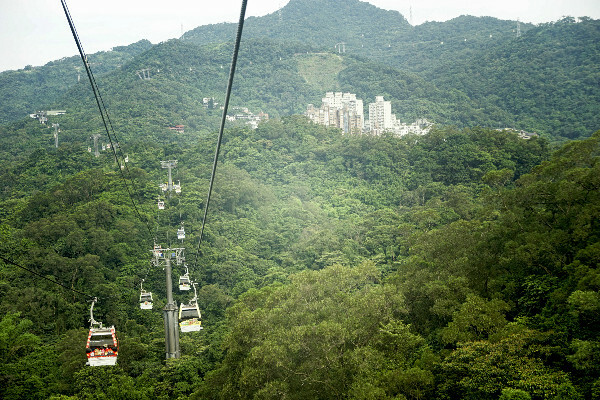 During the gondola ride, one can achieve a panoramic view of the city skyline and mountainous city border. For those seeking a more thrilling adventure, every fifth or sixth car features a glass bottom for more exhilarating views. 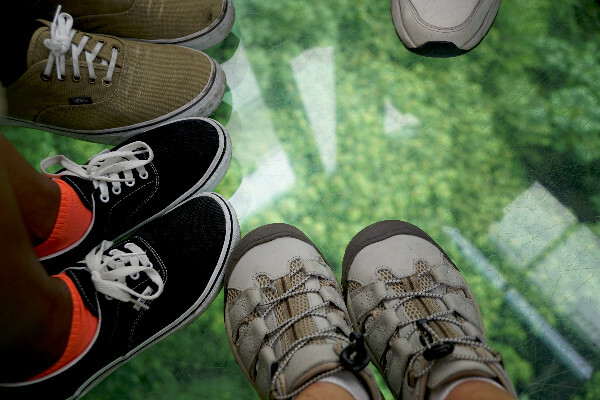 If you are not afraid of heights, opt to stand in the “crystal cabin” line to experience this invigorating ride! Once you arrive to the terminal station, meander along the ridgeway to find a teahouse or local restaurant. 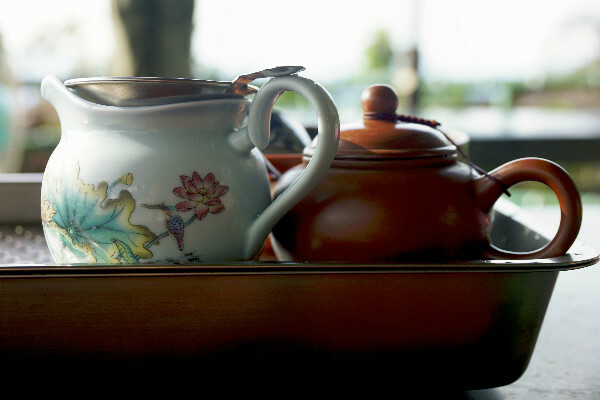 There are many restaurants that incorporate tea to infuse flavor in their dishes. 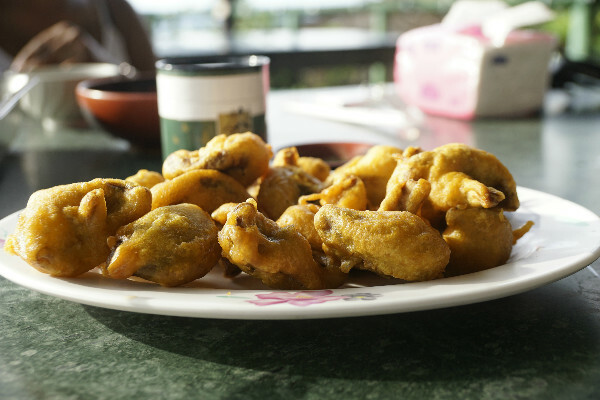 There are also delicious pineapple cakes, traditional Taiwanese dishes, or other local snacks to enjoy. I tried the tempura mushrooms from one of the cafes, and I must say they were scrumptious! If you decide to enjoy the local tea, I recommend purchasing the option that comes with a presentation of the tea ceremony. The waiter or waitress will demonstrate how to properly steep and pour the tea for the best flavor and experience. They will show you how to warm the cups and pot, and they will tell you how long to steep each brew. Drinking the Maokong tea on the mountain ridge will surely help you to unwind and relax from the bustling Taipei city life. Maokong is open from 8:30am-9:30pm on weekdays and 8:30-10pm on weekends. Though tea is wonderful at anytime of the day, I highly recommend going in the late afternoon and staying for the sunset. 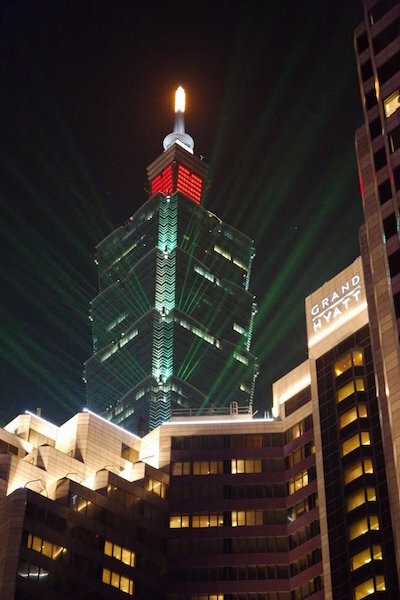 It is a stunning sight watching Taipei light up in the night sky. Furthermore, be aware of weather, especially in the summer, as the gondola may close during thunderstorms or stormy weather. Then I began my illustrious career as a guidebook writer, and not only could I still not afford to stay in luxury hotels but I was obliged to visit them regularly to review them on the sly, conducting clandestine inspections of some of Asia’s best known five-stars by day bedding down in hostels by night. This oft-used technique is employed by many an honest travel writer – for a full report on the potential pitfalls of this method, click over to My Parents are Little People. But Taipei’s hostels are no place to bring a lady, especially a jet-lagged first time visitor who’s come to Taiwan sight unseen as part of a strangely-hatched literary mission / life transition. 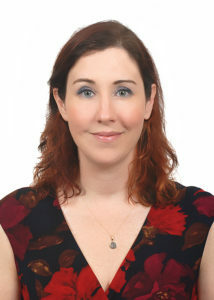 So when Paul Ou, Marketing Communications Manager at the Grand Hyatt Taipei, offered Stephanie and I a soft landing place at the start of our Formosa Moon Research Trip, we accepted with great gratitude. The two-day stay would give us a place to relax in style and to plan out the next three months of travel and writing around Taiwan, a trip during which luxury would definitely not be the planned focus. 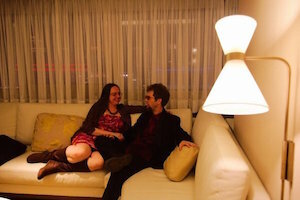 We had arrived in town on New Year’s Eve, and as even the humbler hotels were booked we’d spent the previous two nights couch-surfing. Still bedraggled and road-weary, we were whisked up to our apartment on the 20th floor to begin our 48 hour luxury package. Yes, apartment. With two bathrooms (one more than our actual apartment in Portland, Oregon), a huge living room that doubled as our office (or would have if we’d gotten any actual work done), a bedroom fit for a king in more ways than just the king-sized mattress, the Grand Executive Suite deserved to be called no less. At the risk of showing my age, let’s start with the bathrooms. The main one boasted a rainforest shower, a tub big enough for a romantic evening with two full-grown mermaids and a heated toilet with a bewilderingly soothing number of water-spouting accoutrements. The living room bathroom had the same cyber-toilet but lacking either the tub or shower seemed more geared towards executive business. The living room water closet also lacked wall-to-wall and nigh floor-to-ceiling windows, which is noteworthy only in that it was literally the only room in the entire suite in which one could not look out upon everything in Taipei city south, east (and in one spot close to the front door) west of Taipei 101. In mathematical terms, our suite boasted 3/4 of a 360 degree view, which according to Siri means our suite offered a 270 degree view of Taipei (and the fact that I needed to bother Siri on such a stunningly simple calculation should tell you all you need to know about why I chose a career in writing). The view, showing Taipei in its busy glory by day and neon splendor by night, could be blocked out at the push of a bank of buttons that raised and lowered blinds, sent blackout curtains sliding from hidden compartments, turned lights on and off, operated the large flat screen TV and would call room service to order kippers for the mermaids in the bathtub. We did not send for room service (though it was an 24/7 option), opting instead to try as many of the Grand Hyatt’s dozen-or-so eating spots as possible over our 48 hour stay. The Pearl Liang restaurant served up authentic Cantonese fare with just a hint of fusion, while the first floor café had a buffet rivaling the Dag Hammarskjöld Plaza greenmarket in its international bona-fides. Our favorite spot turned out to be the 22nd floor Grand Club Lounge, both for its daily breakfast, all-day snack selection and evening cocktail parties. It was during one of these parties where we reconnected with an astrophysicist we’d met on the flight over, discussing over hors d’oeuvres both the smallness of the world and the vastness of the universe. 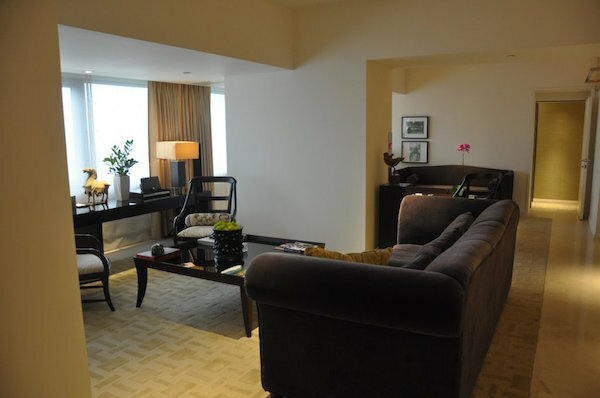 We were also taken to wander avec chaperon through some of the other rooms at the Grand Hyatt (one of the perks of travel writing) and were impressed by managements’ overall attention to detail. All hotels keep a few books in their rooms, but these are usually either decorative Reader’s Digest type collections, or religious tomes designed to dissuade the lonely traveler from doing something they might regret after having a few too many from the mini-bar. But each of the rooms we visited (including our own) had books worth buying – graphic novels, guides to astronomy, short story collections. As writers ourselves, we were encouraged. Not enough to tear us away from the bathtub, 270 degree view of Taipei, flat-screen TV complete with first-run pay-per-view movies and other diversions to do any actual work. But…almost. Cuisine, accommodations worthy of a Sultan (of Brunei or Swing, take your pick) and being allowed to spend time recuperating from a lengthy journey while preparing for an even lengthier one was but a part of our 48 hour luxury package. 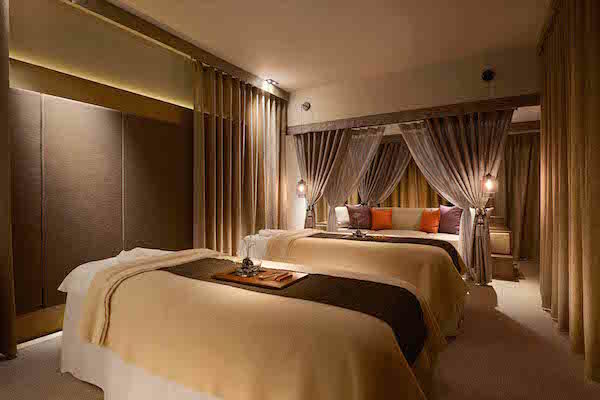 The other part was a three-hour long treatment at the Grand Hyatt’s brand new Oasis Spa. But for that description, I’ll pass the keyboard to the other half of the Formosa Moon Team. What did I do to deserve such luxury? Before our session had begun, we’d been invited to soak in the gender-separated spa area. I hit the sauna first, hoping to sweat out the processed-food toxins from many days of travel, but the sauna proved too hot. Bailing after just a few minutes, I moved to the steam room, settling into the overall vibe, listening to the mellow hiss of steam. Everything in the spa had clearly been designed with comfort and serenity in mind. The spa’s centerpiece, the main hot pool, was designed to allow the water to rest at the stone pool’s upper edge. As I entered it spilled over the sides into the drain surrounding the pool. After I had settled into a comfortable spot the water stilled and again the water level rode right to the pool edge. The scene was quiet and relaxing. A small cold pool sat nearby. I worked myself up to walk down the steps and submerge myself to my shoulders. After a few breaths I returned to the heated waters of the main pool. I was repeating this process, alternating between hot and cold when my masseuse came in to get me, wrapping me in a thick white robe before bringing me upstairs to our couples massage room. Joshua was already seated, soaking his feet in a brine of scented water, sipping flower tea in (uncharacteristic) silence. I joined him as our masseuses readied the tables while we drank a flower tea in silence. We were then beckoned to our heated massage tables, where we, after being slathered in black mud, were wrapped in a coating of thick plastic and covered in heavy blankets. My masseuse applied additional mud onto my face with a soft brush, which I found quite soothing. I’d done many spa sweats in New Mexico and had always enjoyed the experience. It had been several years since I had done such a sweat, and I was floating on a pleasant cloud of heated mud and perspiration. My reverie is interrupted suddenly. Joshua, apparently, has reached his own heat tolerance, and begins unwrapping himself prematurely from his mud cocoon. He makes a beeline for the shower. Not long after, my masseuse gestures for me to sit up. As I ease into a standing position, a mixture of mud and sweat pours down my body. The masseuse folds the plastic around my calves, allowing me to waddle to the shower without dripping on the floor. After washing in a beautifully warm shower, I join Joshua on the couch and await the next round. We’re given a light snack during our break, mochi – a sweetened glutinous rice cake – and more tea. The sauna mud wrap having begun the process of melting away the soreness from days of awkward sleeping arrangements, I’m now ready for the massage to evaporate the rest. I am not disappointed – my masseuse knows her trade well, using enough pressure to work my muscles without pain. After the massage, we’re invited to relax again on the couch with more flower tea before beginning the last part of the treatment – the facial. Lying still on the table, a seemingly endless array of gentle paintbrushes caress my skin with sweet smelling lotion. Again, I find myself drifting away. The facial complete, we are offered more tea and advised to let the oils and other unguents from the various stages of the Calm treatment to to soak into our skin for the rest of the day before showering. Every inch of my skin velvety soft, Joshua and I head upstairs for a mid-day rest, Calm, relaxed and serene. 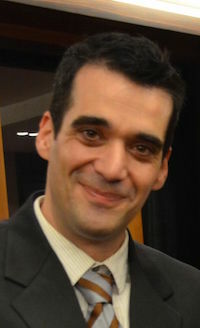 Joshua Samuel Brown has authored or co-authored 13 books, including Vignettes of Taiwan and a dozen or so guides for guidebook titan, Lonely Planet. 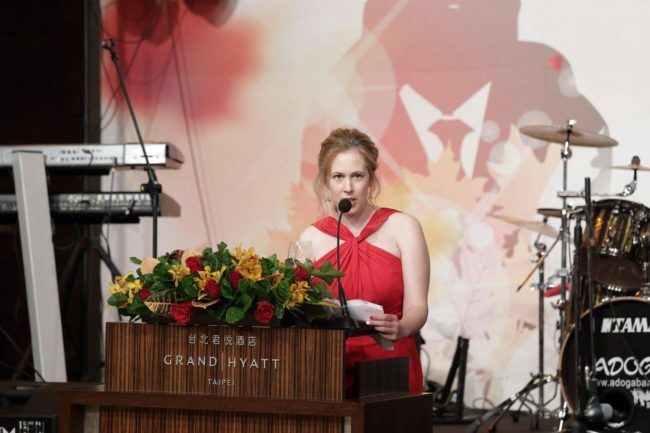 He and his partner Stephanie Huffman are in Taiwan working on a collaborative project called Formosa Moon, to be published by Things Asian Press in 2018. 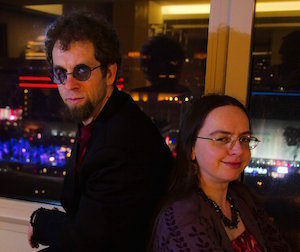 To learn more about Formosa Moon, check out www.josambro.com or their Facebook page at Honey Trekkers.